Create Embellish Adore: Its your day! Its bizarre weather here.. one moment its hot and sunny and the next its storming and the trees are blowing over. Not quite the summer I thought we would have. Least the baseball games are able to be managed through the storms, even if my son isn't playing since hes away. I put some flip flop cards together to send out for my June birthdays... this isn't 1SGTs card, just incase he peeks :), I will post tomorrow. I love the bright sunny yellow that Daffodil Delight brings. 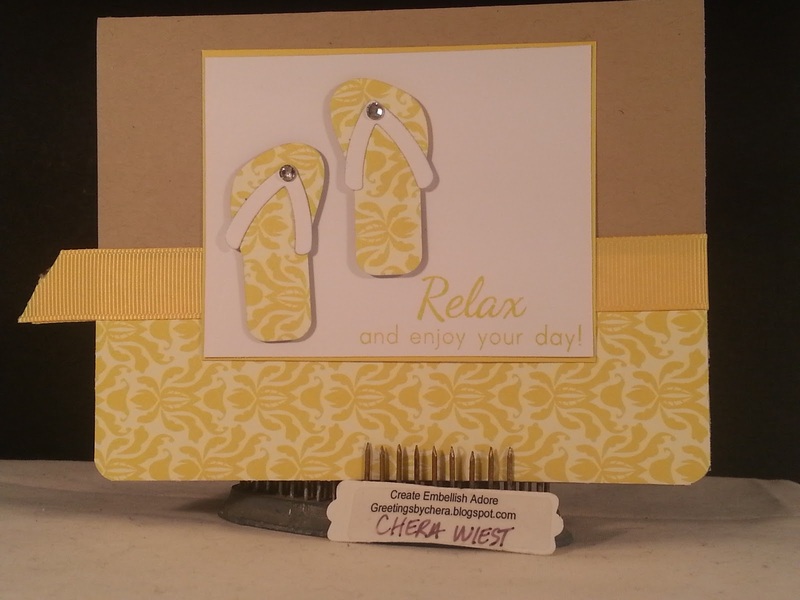 Its perfect summertime card! very cute card, the flip flops are super cute!